Rebecca is taking a well earned respite. I encourage you to read Vintage Cameras - Time Machines that was written for Friday From The Collectors. It's every bit as good the second time around. It’s a little known fact, but it is completely possible to time travel with nothing more than an old camera and a roll of film. Moreover, this phenomenon only becomes more impressive the more we become accustomed to digital photography and thereby separated from the process that produced the family pictures we treasure so much. Vintage cameras help us to give some insight into the technologies and instruments that produced the pictures in our collections, but just as importantly, they also put us in touch with our mothers’, grandmothers’ and younger selves’ experiences of picture taking. adds another level of insider knowledge to my identification of family photos. But it also illustrates my personal belief about the potential of photography to become a deeply meaningful site of intergenerational interaction as well as the notion (also mine) that cameras are living objects whose greatest value lies in their continued use, which is, after all, the only way to truly harness the power of their time-traveling ability. 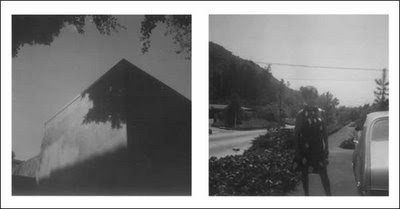 St. Paul, Oregon diptych, 2007. Looking through the lens of a vintage camera and pressing the shutter can be quite literally like looking through a porthole to a different time. 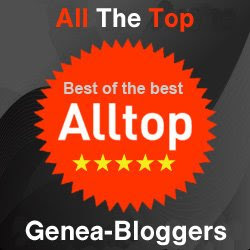 This is pretty obvious when considering the foggy, scratched and inexact lenses of inexpensive snapshot cameras like Brownies but is true of higher quality cameras as well, simply because of the fact that using them requires slowing down to match their pace. The memory-making tools of the past are very different from those to which we’ve grown accustomed in the last 10 or 20 years as the speed, automation and quality of point-and-shoot film and digital cameras has gotten faster and better. In addition to this difference in process, it is also important to remember that the product film cameras create – especially the old, crappy ones – is profoundly different from those created by our digital cameras. While digital cameras (and newer film cameras, too) generally seek to make themselves as invisible as possible in their finished products, old cameras imprint themselves on the negatives and prints they produce, leaving artifactual traces of the process of picture taking – blurs, halos, scratches and distortions that can turn the most modern scene into something magical and unstuck in time. This, of course, has great artistic potential, which is part of the reason why I use vintage cameras as much as I do. I own a fair number of cameras, many of them cheap and old. The most special of these were so cheap that they were actually free, which belies their true, incalculable value. 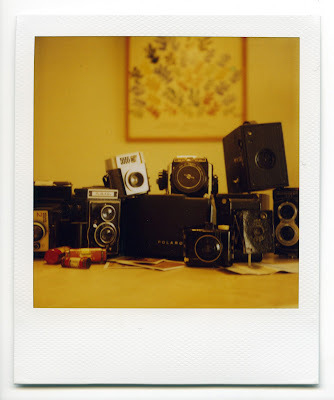 These cameras had been sitting and gathering dust in the backs of familial closets before they came to me and, as such, have an emotional connection to me that takes them beyond being just photographic tools in my arsenal. 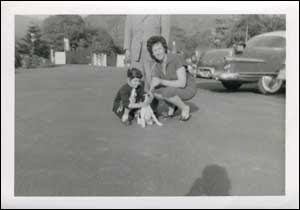 They were cameras that had belonged to my mother and her sister as kids, and though neither them nor their parents are or were exceptionally capable photographers (my mom said she knew her sister had taken the above puppy photo because of the fact that their father’s head was not included in the picture), inheriting them felt unbelievably special. Even more special was that one of them, found in my aunt’s closet, a Brownie Starmeter she had labeled with her name and address as a child, had a roll of film in it. When I excitedly finished it and had it developed, I was greeted by a 30 year old picture of my grandmother, taken sometime before the camera had been put away in the back of a closet. That picture appearing on a roll of film next to pictures I’d just taken, 16 years after my grandmother’s death, was the moment when I realized just how special this camera inheritance chain really was – for it wasn’t just about how neat pictures look through the distorted, scratchy, plastic lenses of old cameras, but about how I was collaborating with past picture-takers through my use of these cameras, through learning to see the world quite literally through the same lenses they’d used to document themselves for posterity. Fenning, Rebecca. 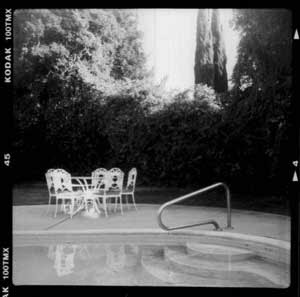 Encino, California, 2007. Photograph taken with ancestral Welta Reflekta I. 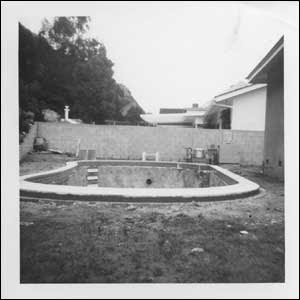 Swimming pool construction, ca. 1960s. Photograph possibly taken with Brownie Starmeter. Hoffer, Helene. Kathi, Ethel and Frank Hoffer with Jackie, ca. 1958. Photograph probably with Baby Brownie Special. Fenning, Rebecca. 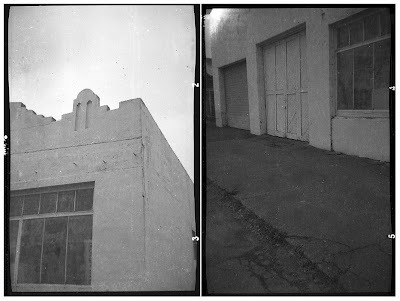 St. Paul, Oregon diptych, 2007. Photograph taken with ancestral Baby Brownie Special. 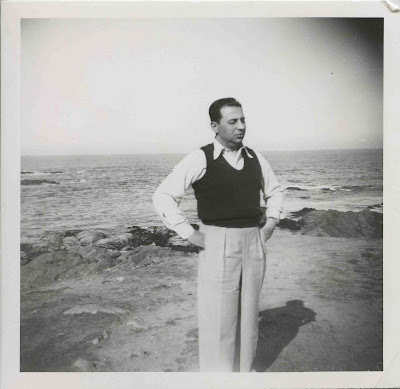 Frank Hoffer, ca 1950s, probably taken with Brownie Starmeter. Fenning, Rebecca. Encino, California, 2006. Photograph taken with ancestral Welta Refleka I.
 Fenning, Rebecca. Los Angeles, California, 2006. 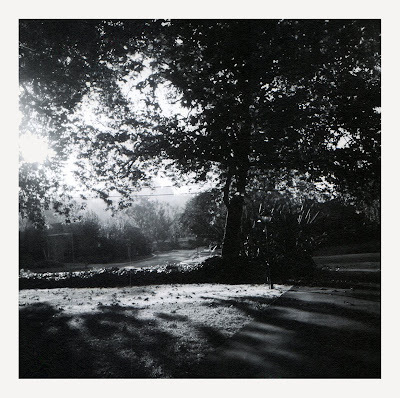 Photograph taken with ancestral Brownie Starmeter. Ethel Hoffer, ca 1960s, taken with Brownie Starmeter. Fenning, Rebecca. Vintage cameras, 2008. 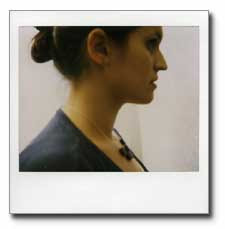 Taken with a non-ancestral Polaroid SLR 680. Thank you, Rebecca, for a very interesting article reminding us all about the equipment which was used to produce all these photographs that we enjoy. I wish I still had my first camera, a brand new Agfa Iso-Pak given to me in around 1970, when I was nine years old. I have no idea what happened to it. Ever Had A Bad Hair Day?